Hurricane Florence is rapidly approaching and the forecasts do not look particularly encouraging. Power outages are almost inevitable during this period and it is only smart to prepare for one. As we’re sure you’ve already stocked up on batteries and snacks, it’s good to have a plan in place on keeping the little ones occupied and boredom at bay! Available knowledge and technology tell us the forecasts are reliable but we never truly know how bad things could get. If you had been too busy to put an emergency kit together before the outage, you could make an interesting task out of it with the kids. Send them on a treasure hunt to uncover the items that should be included in the kit and have them bring the items to you. We can bet you’d have enough items to fill a Mini Cooper, and that’s why you’ll be in charge of sorting. Before you all get too excited, you should remember items like batteries, torchlight, canned food, scissors, first aid kit, etc. are must-haves. If you want a comprehensive list of what and what not to include in your emergency kit, you could check out this guide from the Federal Emergency Management Agency (FEMA). Glow sticks are a fun way to light your home during power outages. Just bend the sticks and you can have a bright light for half a day. If you are fine with a dim light, a glow stick could take you through a whole day and a half. The diverse colors, shapes, and sizes make them even more fun. Buy a good number of them and buy different varieties too. Your kids should have a field day with them when the light goes out. One good thing about trying to keep your kids occupied during a power outage is that you’re hardly ever alone. Your next door neighbor is most probably struggling with the same problem. So why not form a mini support group and bring your kids together to have fun. Staying outdoors may not be the smartest thing to do during a Hurricane-induced power outage. So, you should limit yourselves to indoor activities. The children can stay occupied with board games such as Monopoly, Checkers, charades or any other one that interests them while the adults can talk about adult stuff. The bonding further eases the tension around, and the kids could get to know each other better. Since the outdoors are not the safest place to be immediately following a hurricane, why not make a camp out of your living room, loft or bonus room? As long as you have moderate space inside your home, this is an option that’s easy to explore. Move the tables and couch in your living room to free up some space. Once you have an area that’s large enough, pitch a tent and you’ll be camping right inside your living room. Tell your kids to grab the pillows, blankets and sleeping bags while you prepare snacks you would normally take to an outdoor event. Complete the campaign experience by snuggling under the tent and telling them some scary ghost stories. When there’s light, the kids are never hard-pressed entertaining themselves. There are phones, video games, TV, etc. A power outage affords the perfect opportunity to go back in time and do some candlelight reading with some good ‘ol books. Or flashlight as the case may be. There you have it! 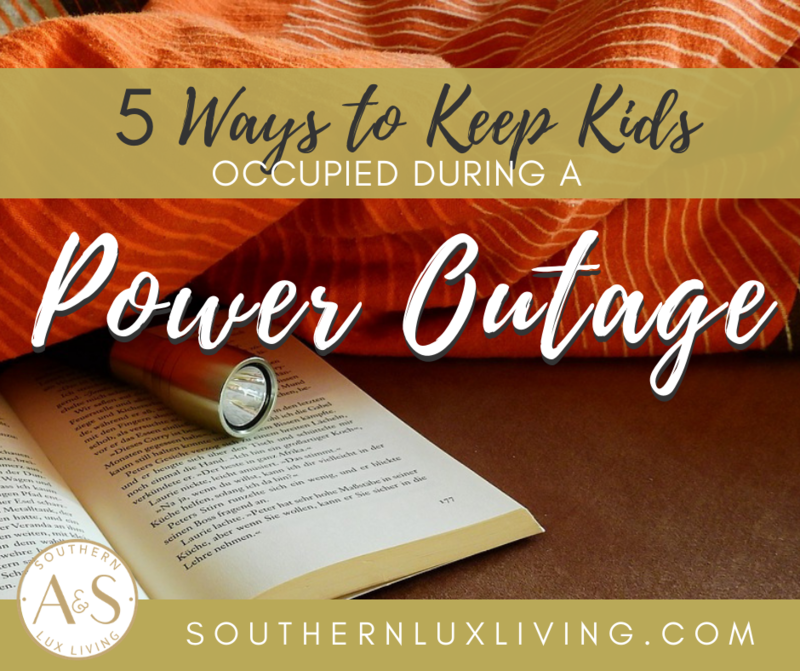 Highlighted above are some fun ways to keep the kids occupied during a power outage. Remember that safety is a paramount concern during this period. Avoid going out as much as you can and get familiar with hurricane safety tips while having a concrete plan in case of an emergency. A & S Southern Lux Living is here if you need us! 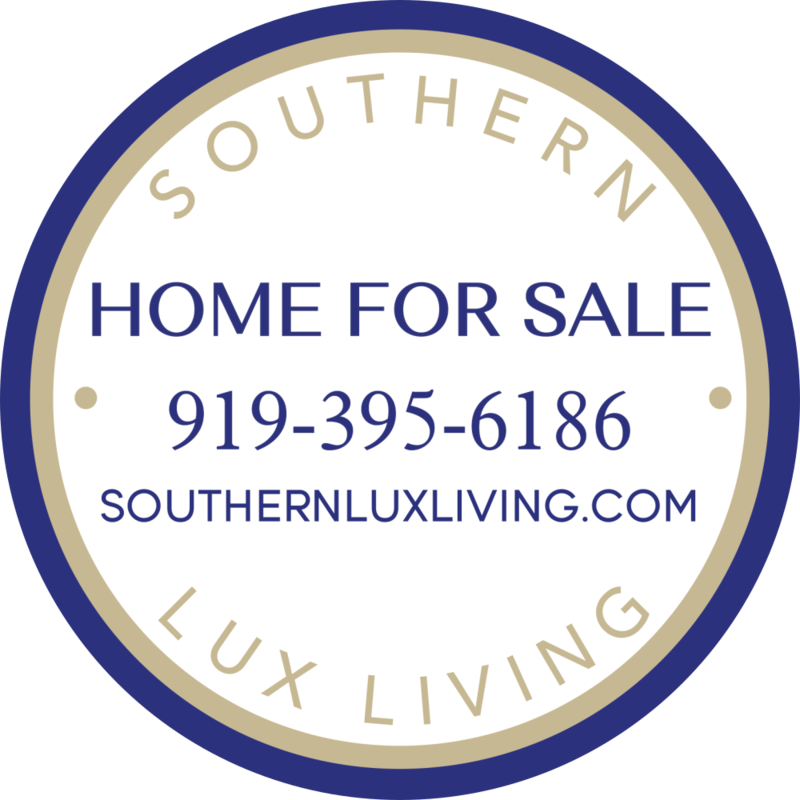 Feel free to contact us via email at allison@southernluxliving.com or mary@southernluxliving.com or by phone at 919-395-6186 or 919-995-4821. Stay safe!